Helen Goodbarton and Sophie Johnson-Hill are the creative minds behind the publishing company, and I met them both at The Milk Lounge in Beeston, surrounded by children…which was the ideal setting really! Helen, 39, runs a performing arts school for young children in Beeston called Sprouts, and has been for the past 10 years. It was through this that her and Sophie, 36, both met, as Sophie’s children used to attend the sessions. Sophie is the creator of Sojo Animation, which she started whilst doing an MA in Puppetry and Digital Animation at Nottingham Trent University. Her research on the course was focussed on encouraging creativity in children. “I’d just chat to a little one and find out how they think and how they feel about certain things,” says Sophie. “If they said something particularly brilliant I would take that sentence and get them to draw a self-portrait and I would animate their words coming out of their artwork.” She called these individual animations ‘Thunk of the Day’, and they can be found on the Sojo Animation YouTube channel. At this point, they both decided to see if they could find a publisher, going with the idea that the story would be Helen’s, and Sophie would be the illustrator. But after exploring the world of children’s publishing, they discovered a few rules that would stop them in their tracks. Sophie adds: “There are rules about which of the pages needs to be a double page spread regardless of what’s happening at that point in the story, or how many times a theme should re-occur within the story. It’s like a guide to how a kids book ‘should’ be. In an industry that is all about something that is so beautifully creative, to cut creativity with rules is just frankly insane,” she says. And that’s exactly what they did. They set up Sojo Publishing Mouse with the intention of throwing the rule book out of the window. They actually had the idea a couple of years ago, but with Sophie doing her MA and Helen having a baby, they’ve only just got round to launching it properly. They set up a Kickstarter campaign as a way to get more people involved in their vision for children’s publishing. 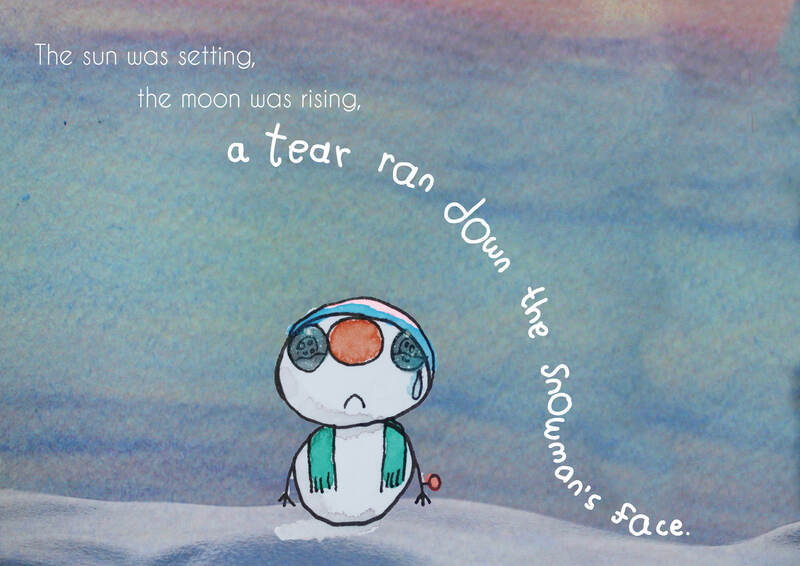 Sophie described pressing publish on the campaign as a “moment of impending doom.” When I met them, the campaign for their first book The Glowing Snowman had only recently gone live, but they already had around £800 raised. If you’d have told a young Stephan Collishaw that one day he would be a published author he probably wouldn’t have believed you. Yet his third novel The Song of the Stork has recently been released by Legend Press, and he’s set up Noir Press, which is the only publishing house in the UK dedicated to Lithuanian Literature. Not bad for a man who failed his GCSEs twice. Collishaw, 49, who currently lives in Colwick, grew up in Basford and attended Ellis Guilford, and despite failing his exams, he did leave school with a love of literature. “They introduced me to Guy de Maupassant, which is the only thing school did for me,” he reminisces. “My poor mother was at her wits end and got me onto a Youth Training Scheme back in the 1980s. I went to work at a bookkeepers and lasted there 6 months until I got sacked.” However, this proved to be a crucial moment in his life. Now, he has three children, speaks Lithuanian and visits the country regularly. “When you explore a country, one of the things you want to do is explore the writing,” states Collishaw. “It’s almost impossible to actually read Lithuanian novelists,” he adds. So far, Noir Press has published Breathing into Marble by Laura Sintija Černiauskaitė which won the European Union Prize for Literature. The publishing house is also set to release three books this year: The Easiest by Rasa Aškinytė; Shtetl Romance by Grigory Kanovich; The Music Teacher by Renata Šerelytė. I ask him about his latest book Song of the Stork, a historical fiction novel set during the 1940s amid the Second World War which tells the story of a fifteen year old Jewish girl, Yael. While on the run, she meets a village outcast who is mute and they form a relationship. The Beeston-based publisher Shoestring Press also holds a place in his heart, not only because he considers John Lucas a “godfather of literature” but because his first published collection was a Shoestring edition. Stephen will be at the Flying Goose Café on Wednesday April 12 where he will be reading from Song of the Stork.